This riverside venue offers many family-friendly events and is located just a mile from Mystic Quarry. Shuttle service is offered from the campground, making transportation a snap. See the amphitheater's website for ticket information. The Guadalupe is one of the most popular tubing spots in Texas, and one of the most essential of Hill Country activities. There are various drop-in and take-out spots all over the region, so you can customize the length of your own trip depending on your family's preferences. Located in New Braunfels, Schlitterbahn contains miles of spring-fed rivers for your floating and tubing pleasure. Daring family members won't want to miss the Master Blaster Water Coaster, just a short tram ride from the main complex. Take a step into another world with a tour of these ancient caves, sure to enthrall and delight even the most tech-obsessed visitors. Watch shadows dance in the Hidden Passages Tour, pan for gold at the Mining Company, and don't miss Big Daddy's Sweets, Treats, and Brew for a chance to visit a real old-fashioned general store and parlor. What could be better than hopping on a horse in the heart of Texas? Azteca Stables, just a short drive from our Hill Country campground, awaits you with some of the friendliest, happiest mounts you're likely ever to meet. Whether you're looking for a serious lesson, a ride around the pen or just a social visit, the staff and horses alike are there to serve. These are just a few of the many Hill Country activities that you can enjoy on your visit, and more adventures are always just around the corner when you come to Mystic Quarry. We do more than just fulfill your lodging requirements to provide a true home-away-from-home feeling. 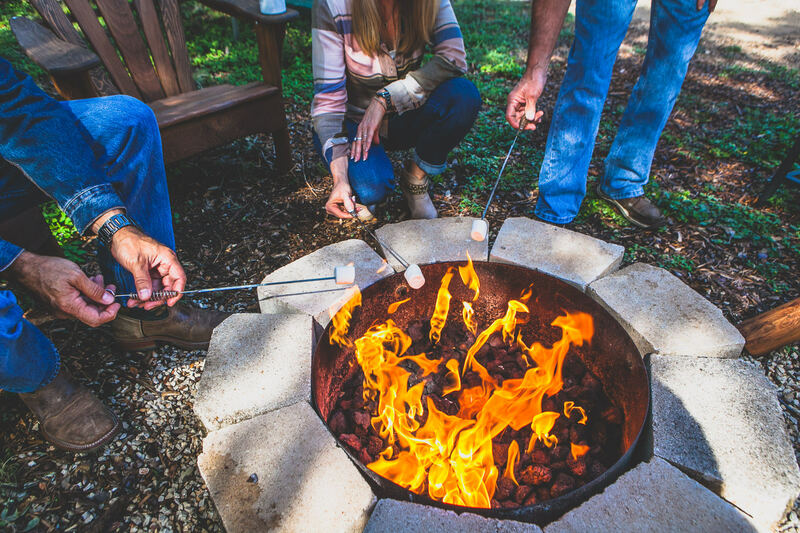 There's also a variety of activities right on site to enjoy, from our pool, nature trails, volleyball pit, and campfires just waiting for s’more’s. Browse our lodging options, and make your next family trip one to remember.